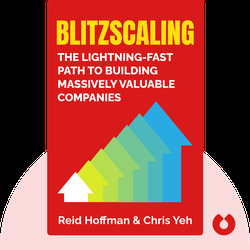 Blitzscaling (2018) looks at a revolutionary development in the business world – one that’s so unprecedented, a new word had to be invented for it. It’s the process whereby companies like Google, Facebook and Amazon began as small, scrappy start-ups and then rapidly ballooned into world-conquering giants within just a few years. What’s their secret? 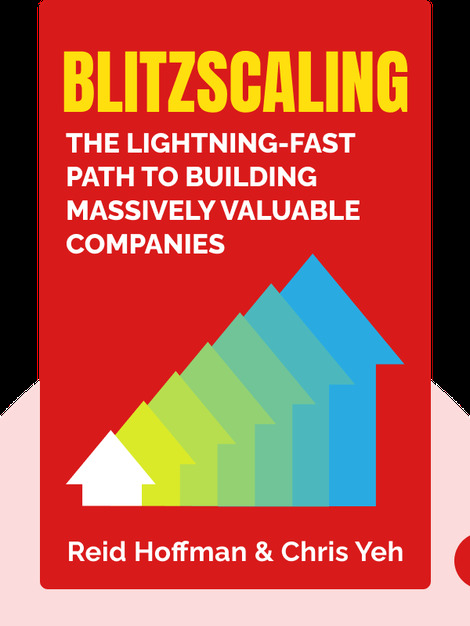 In a word: blitzscaling. And that, as the title suggests, is what this book is all about. People who have to live in a world shaped by those giants – namely, everyone! Reid Hoffman was one of the cofounders of LinkedIn and PayPal, and an angel investor in Facebook. He is currently a board member at both Airbnb and Microsoft, and he was one of the coauthors of The Start-Up of You and The Alliance, both of which were New York Times best sellers. Chris Yeh is also a coauthor of The Alliance. He is an investor, entrepreneur, writer and mentor based in the San Francisco Bay Area. His business perspective is informed by two degrees from Stanford University and an MBA from Harvard Business School.